Though they might not look exactly the same but there many similarities between the two. The hairstyle, face cut and hot body. Not just that but the two hotties also get adorable dimples. Preity Zinta shares resemblance to Hollywood’s Italian beauty, Monica Bellucci. Preity’s face cut and nose is very similar to that of Monica’s. Isn’t it? 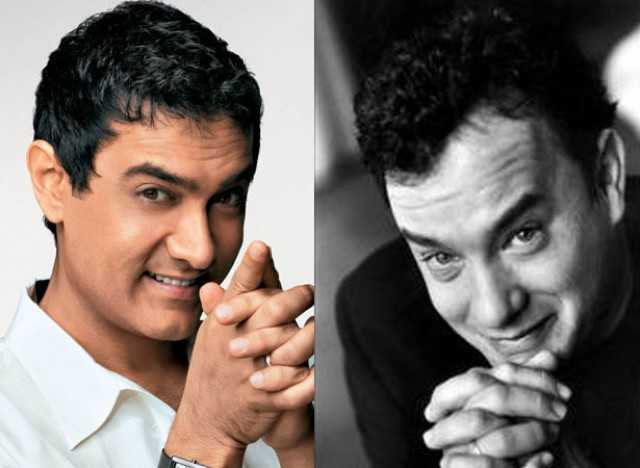 The perfectionist of B-town is a look alike of Hollywood’s perfectionist, Tom Hanks. The two have uncanny resemblance! Both of them have been the sexiest men alive and how! The time Hrithik starred in ZNMD, he was compared to Bradley Cooper. We cannot deny the fact that they look very similar. The princess diaries cutie, Anne Hathaway and B-town’s adorable Dia Mirza have many similarities when it comes to looks. Cute smile, fair skin tone and beautiful eyes are what they share in common. Don’t you agree? 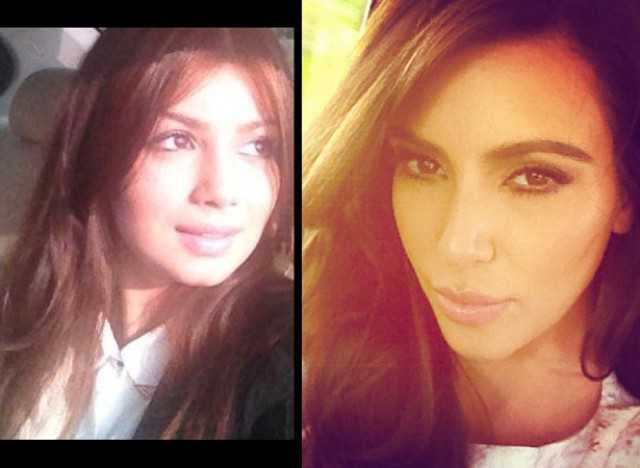 It could be bizzare to compare the two but lately Ayesha’s has been posting pictures on a social networking site which are very similar to Kim Kardashian’s pictures. Copying Kim, eh?